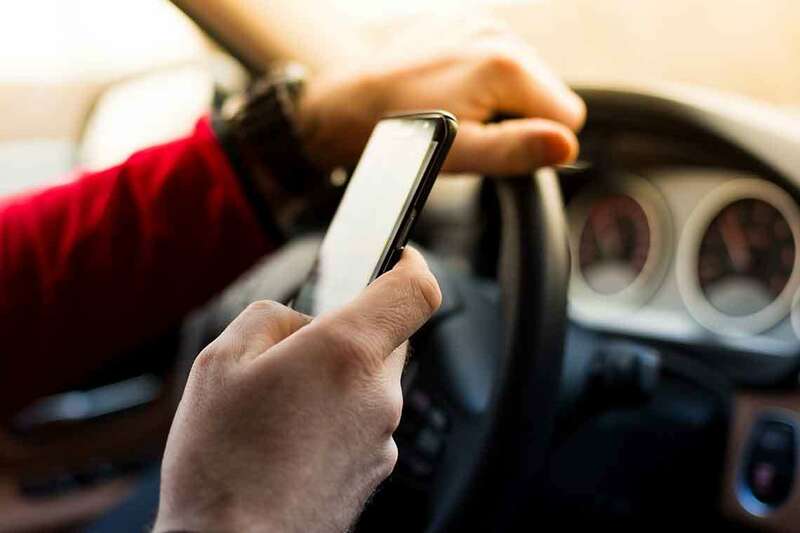 It has been almost three years since Florida passed a law banning texting while driving, but a newly published report by the state Department of Highway Safety and Motor Vehicles proves that more drivers are distracted behind the wheel than ever. The study attributes distracted driving as the leading cause of car accidents, injuries, and deaths statewide, with Leon County seeing a 41 percent increase between 2011 and 2015. While many of us are guilty of committing these senseless acts, the urge has proven unbearable for those involved in the 45,740 distracted-driving-related crashes that occurred across Florida in 2015. A texting-and-driving law that some critics think is weak has been considered a contributing factor to that outbreak in distracted driving. The law, enacted in October 2013, is considered only a secondary offense. This means police officers must stop drivers for another reason before charging them a fine for texting and driving. The legislature failed to make the act a primary offense earlier this year. While Leon County fatalities have marginally decreased over the the past five years, Montes paints a disturbing picture of of the severity of these crashes: Victims still holding onto their phones when paramedics arrive at the scene. “It’s a problem,” she said. But texting and phone usage are not the only things distracting motorists. Paying attention to other passengers or an event outside the vehicle, eating, adjusting in-car technologies such as the radio or climate controls, having an unsecured pet in the car, and daydreaming also divert a driver’s attention away from the road. What with a steady population growth and low gasoline prices, the number of drivers on the road has increased substantially, making distracted driving a critical problem that continues to get worse. While statistics pour in and state leaders fight for stricter safety measures, law enforcement officials urge Leon County drivers to pay attention by concentrating on their driving and the vehicle’s surroundings. The Florida Department of Transportation also highlights ways to prevent such crashes, including educational programs and activities that target at risk demographics and geographic locations, as well as thoroughly educating officers on Florida traffic crash reports and the laws applicable to distracted driving. Additionally, Governor Rick Scott signed the Put It Down proclamation in 2012 to initiate a statewide campaign to persuade drivers to stop before texting. As of June 2015, Florida has designated\ 64 rest areas, welcome centers, and turnpike service plazas throughout the state as “Safe Phone Zones” in an effort to also encourage drivers to pull over and use their mobile device. When it comes to distracted driving, we as drivers are our own worst enemies a lot of the time. There are always new gadgets or upgrades to cars, along with everything else, that make driving more hazardous than it needs to be. Here are some other ways to keep your eyes on the road and safe during your next trip. Turn Off Your Phone It’s not as scary as you think, especially if you’re embarking on a short trip. If you’re the type of driver who is glued to their phone and who answers messages at red lights, it might be wise to simply turn off your device for the duration of your trip. As the saying goes, it can wait. Be Prepared So You Can Avoid Multitasking Set up your GPS before you hit the road and keep that morning coffee in the cup holder — not in your hand. Better organization beforehand means you’ll less likely have to search for your keys and fumble around the car. Have the Passengers Help Your job is to drive and to get everybody safely to their destination, so why not let your passengers do some of the work? This could mean letting them set the GPS, find a song on the radio, adjust the temperature controls, and send a text for you. Leave the Serious Discussions for Later If you have to discuss something important with a passenger or with someone over the phone, save it. Stressful thoughts and conversations can put any motorist in harm’s way and could even lead to road rage. Whatever the topic at hand, it’s not worth risking your life or the lives of others. Use Voice Commands and Bluetooth Moderately We can’t help but say technology has helped us in various ways, but even hands-free texting and talking can be pretty distracting. Like serious conversations, voice commands and Bluetooth devices can take your mind off what’s most important — the road. Try to keep their use to a minimum. Make Driving Time Quiet Time Think of it as your little Zen moment of the day. While driving can be far from relaxing, what with the heavy traffic and poor weather conditions, remember that it’s okay to turn off the radio or iPod, and refrain from talking to the other passengers in the car. Use the quiet time to collect your thoughts and focus on driving safely. What Happens If You Do Get in an Accident? Those are some ways to keep focused on the road and keep your drive safe. However, even though you might go out of your way to keep yourself focused, others might not. Whether you or a loved one has been a victim of a distracted driving accident, we are here to help.